The Bornholm Line has delivered more goods to Bornholm in September than in the same month of the year before. New operator Molslinjen has decided to allow more freight on the fast ferry between Rønne and Ystad. Also, new ro-pax HAMMERSHUS carried 12% more freight on Rønne-Køge compared to the same month the year before. Overall, the number of freight increased by 5% on both routes. 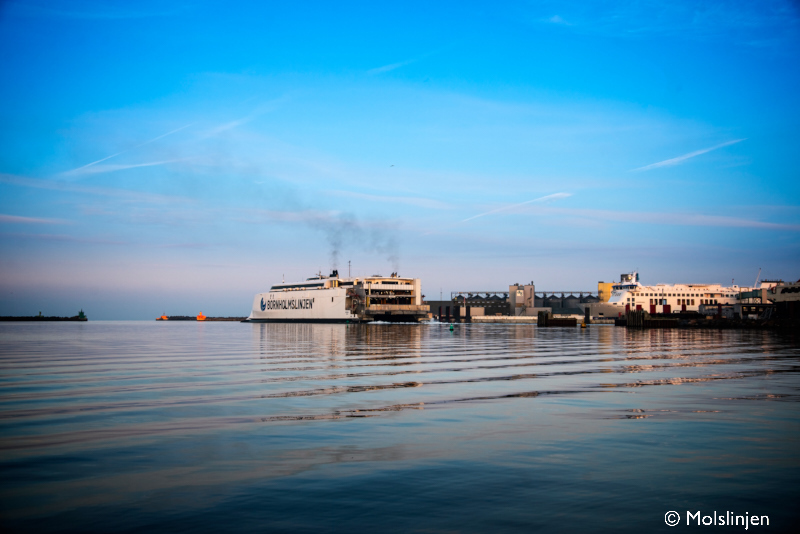 The freight customers in Bornholm have asked for opportunities to reserve goods by fast ferry in advance, in addition to the late cargo departure. 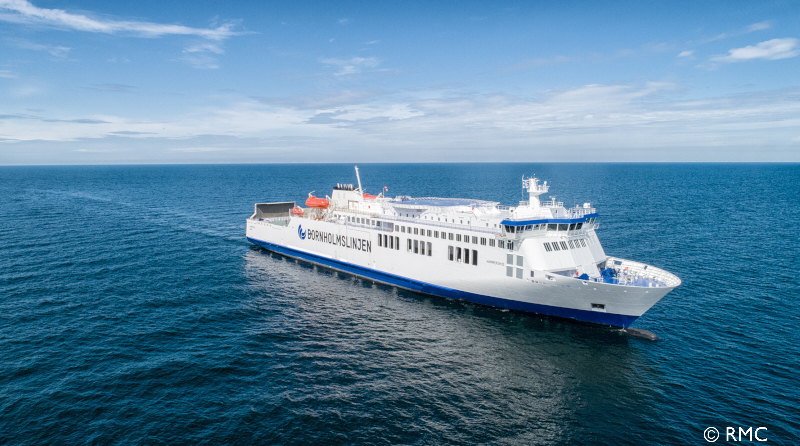 There are now additional options for booking lorries, buses, or semi-trailers up to three months in advance, on Rønne-Ystad fast ferry sailings. The cooperation between Finnish shipbuilding company Rauma Marine Constructions Oy (RMC) and Meyer Turku is expanding with the order for new building blocks for cruise ships under construction in Turku. This order is good news for the shipyard that delivered the HAMMERSHUS, the Molslinjen ro-pax, on time for her September debut on Bornholm. Fosen Yard has a solid reputation in the ro-pax business . 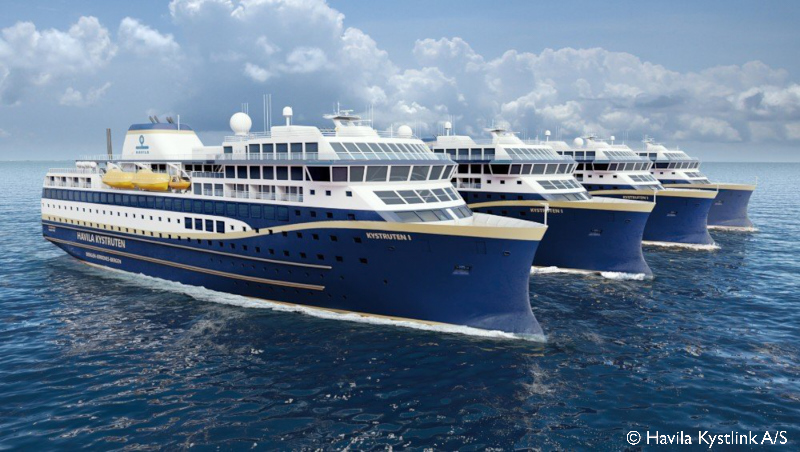 Fosen Nordseewerke will be able to serve customers in the passenger-, offshore- and Naval industry, and build ships based on own concept and designs or customer designs. 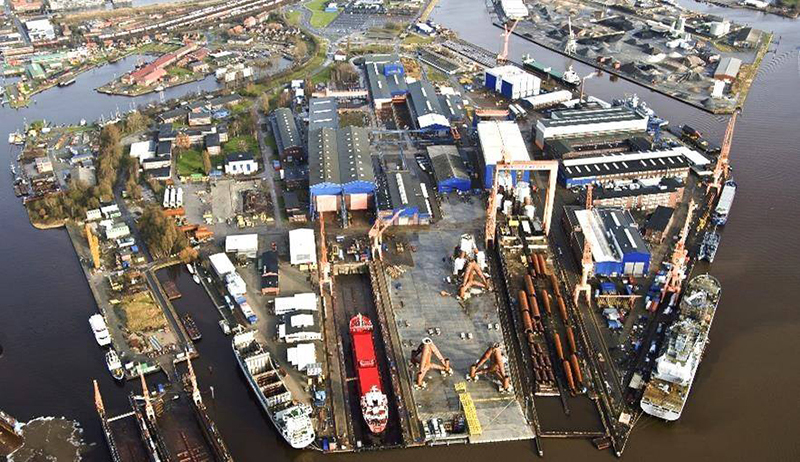 The investment group around Deutsche Industrieanlagen and Patrick Hennings-Huep, previous owner of Nordseewerke Emden Shipyard, and Fosen Yard have entered into an agreement to establish Fosen Nordseewerke GmbH. The joint company is forming an international shipbuilding group covering the complete value chain from design, engineering, hull construction, outfitting, commissioning and final delivery. The group will able to serve clients in all segments of shipbuilding. Lorenzo Matacena, managing director of the ferry company Caronte & Tourist, appeared upset with Italy since the company he heads will not be allowed to use gas on the newbuilding set to be delivered soon by Sefine shipyard. “Unfortunately a set of public rules needed for operating the new LNG dual-fuel ferry under construction in Turkey is still missing in our country,” Matacena said at the Shipping and the Law conference organized by Studio legale Lauro and held in Naples this week. The new ferry will be deployed on the Strait of Messina. “The two big concerns are: a set of rules and infrastructure,” Matacena pointed out, referring to LNG terminals still to be realized ashore. 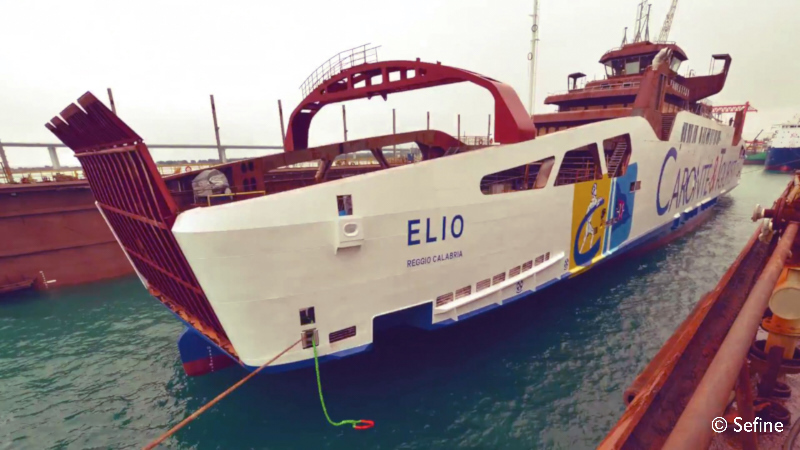 On the other side of the business, in order to be compliant with the new sulphur cap rules coming into force from 2020, Caronte & Tourist’s managing director also announced that on the ferries deployed on the motorways of the seas (mainly the Messina-Salerno maritime link), they are going to install scrubbers, thus copying what was decided also by Grimaldi Group,” he specified. What are the key points on the Greek ferry market, included in the presentation from George Xiradakis, at the Euromed Convention in Athens and organized by Grimaldi Group of Italy? Mr Xiradakis is founder and owner of XRTC Business Consultants Ltd. 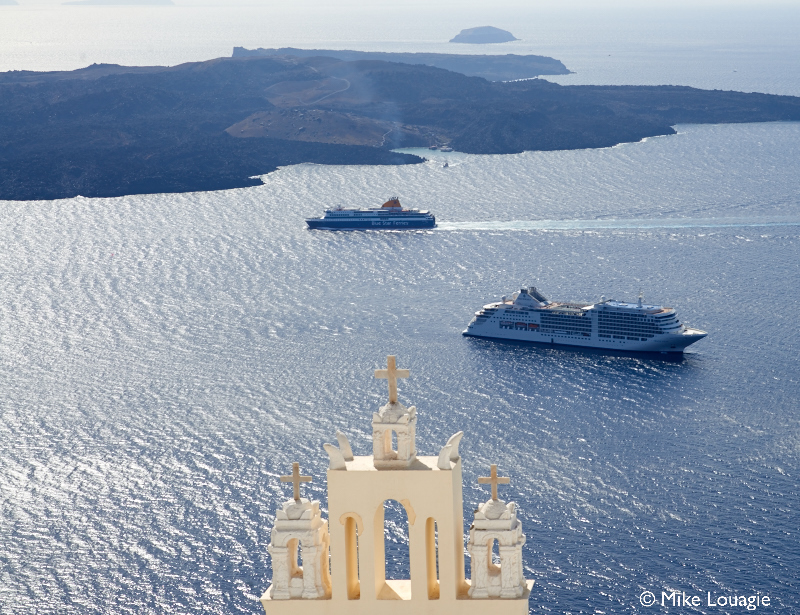 The Greek ferry market till sees an ongoing shrinking demand. On the supply side: ageing of the fleet. Shrinking fleet. As for the revenues contribution per regional market, Greece market share has been constantly increasing between 2002 and 2017 compared with other countries in Europe, but this business segment remains heavily exposed to fuel price variability. Looking at the ferry companies’ financial performance in Greece, they have probably already tested the all-time lows. As expected Naviera Armas signed a contract with the Vigo-based Barreras shipyard. It will be the ninth ferry built by this yard for Armas. The ro-pax ferry will have a capacity of 1,800 passengers, and will be 190m long. The delay in signing has to do with the acquisition of Trasmediterranea, which had to be approved by the authorities. In fact, this ferry had been initially assigned to Armón Gijón, but the contract was cancelled due to the insufficient draft of this shipyard. Fred. 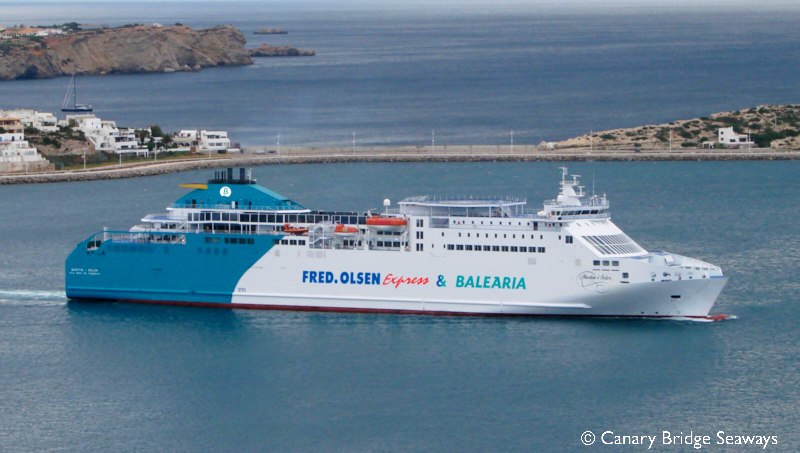 Olsen Express and Baleària, through its alliance Canary Bridge Seaways (CBS), will launch the new announced route between the Canary Islands and Huelva (mainland Spain) on 11 November. Three weekly rotations with two vessels. Triangular route between the ports of Huelva, La Luz in Las Palmas de Gran Canaria and Santa Cruz de Tenerife. One ro-ro freight ship: CLIPPER PENNANT. One ro-pax: MARTÍN I SOLER (1,185 lane meter cargo, 330 cars, 1,200 pax). Port of Cádiz was interested too but the port of Huelva has finally been chosen. 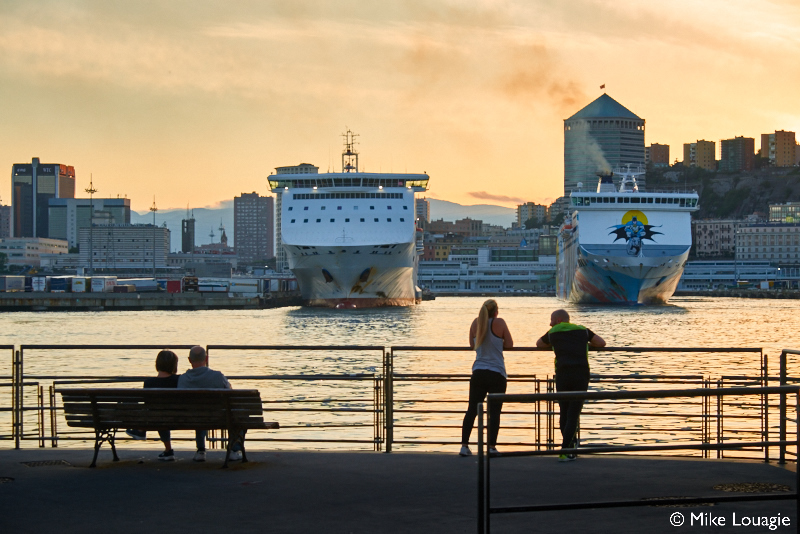 Genoa-based Cosulich and Novella groups are working together with the aim to provide LNG to the ferries and cruise ships calling at the port of Genoa. Italy’s oil major Eni has been also invited to take part to the project, while Autogas Group will be the partner in charge for the inland distribution of the gas. MSC Cruises, Costa Cruises and some other ferry companies (Grandi Navi Veloci) in the recent past asked the local port authority to speed up any potential project aimed at giving shipping companies the possibility to receive LNG from bunker barges. Cosulich and Novella, both active on the market as physical suppliers of bunker respectively in Singapore and in the ports of Genoa and Savona, look at the regasification terminal off the coast of Leghorn managed by OLT Offshore Toscana and the one onshore in Panigaglia controlled by Snam as key points for receiving LNG. BC Ferries President and CEO Mark Collins speaks to BC Shipping News about his background and the future of BC’s coastal ferry network. Overview of the plans with the newbuildings. To build locally or internationally?